The sights, sounds and smells experienced by generations of coal miners, some as young as seven years old, are evoked by a visit to the Big Pit National Coal Museum in Blaenafon, Wales. Our family testers reported back on a fascinating, thought-provoking day out. Step back in time and experience the sights, sounds and lives of the miners who lived, worked and – literally – breathed in the air of this authentic, once working coal mine. Jo Collett visited Big Pit National Coal Museum with her husband and children Josie, 12, Lucas, 9 and Alistair, 7. This award-winning (and – incredibly – free of charge) attraction immerses you in the life and hardships of a coal miner who spent so many hours of his life in the pitch black and cold atmosphere of the mines, an environment where danger was never far away. In its heyday, Big Pit employed 1,300 workers, including the very youngest of workers, young boys aged 7 upwards. Gas explosions were a constant and real threat, severe injury from working equipment was always present and the reality of breathing in coal dust for years of one's life meant that illnesses related to breathing difficulties and lung damage were a sobering reminder of the harsh working conditions that miners had to endure. And yet, what struck me most was the sense of family and camaraderie of this mining community and the love with which many of them spoke about their time in the mines. We wanted to visit the Big Pit because my grandad had worked in one of the nearby mines as a teenager and always spoke of the incredibly tough conditions from which he had chosen to escape by signing up to fight in WWII. Our children, like us, were enthralled and sobered by the living history at Big Pit. Being taken on a guided tour by a real miner (all volunteers now) gave a real taste of what daily life was like for those who made their living at the coal face. As we descended the mine shaft (at a comfortable third of the speed at which it usually decended for the miners), I felt a palpable sense of the reality of spending hours in almost total darkness 300 feet underground, apart from an electric light on your helmet (or, years before, only a candle in a lamp). Our tour guide explained how he had sometimes ended up swimming – yes, swimming, in freezing cold water – through parts of the mining tunnels; how pit ponies worked and lived in the mines (as many as 70,000 of them in 1913) and how young boys worked as trappers and harriers before Parliament stopped children under the age of ten and women working in the mines in 1842. So much incredible information to take in; the Big Pit is truly a living reminder of the coal industry in Wales and the people and society it created. The underground tour itself (completely unmissable) takes approximately one hour and requires wearing a helmet and carring a lamp weighing approximately 5kg. In total, you should allow 3-4 hours for your visit and wear warm clothing and sensible footwear; the paths underground can be uneven and slippery in places, with steps and low areas where you should be prepared to stoop down considerably! We visited with our three children who are in KS2 and KS3. I would say that, ideally, children aged seven and upwards will gain much more from this visit rather than younger children. However, if you are visiting on a day when the seasons and weather are kind, there is plenty of open space for children to run around with the backdrop of the stunning Welsh mountains and valleys to accompany you. 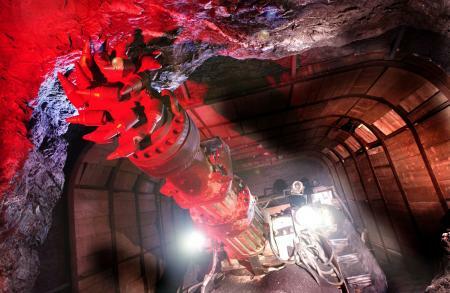 And the virtual tour of the modern coal mine is very much accessible to younger children. Discovery trails and activity packs (especially suitable for younger children) are also available free of charge from the museum Reception. 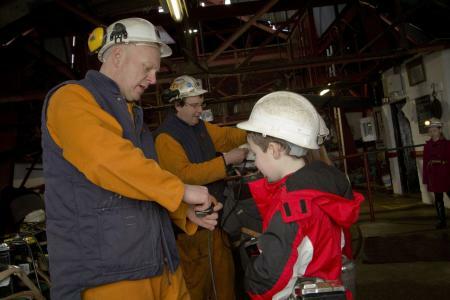 As long as your children are over 1 metre in height, they will able to take part in the guided tour below ground in the actual mines. The very act of being kitted up by the miners with a hard hat, light and power pack on a belt around your waist is exciting in itself. Our seven year old, as the youngest in the party, was affectionately singled out by our lovely guide and was used as an example of what young children did working in the mines in Victorian times. Our son, for an hour, became a trapper, a youngster who had the vital job of opening and shutting wooden doors to let air through the tunnels. It was a more than sobering thought that these small children sat in the dark, with nothing but a small candle (if it didn't go out) completely on their own for 12 hours a day. Our ten year old was captivated by the virtual tour of a modern coal mine in 'King Coal: The Mining Experience'. Listen to a miner on the various screens talk about the equipment used up until recently and experience the sights and sounds of the working mines as you move through the various sections of the tour. There is so much to see and absorb here! Our twelve year old also really empathised with the lives of the miners. Her favourite part was the locker rooms, left as they were when the Big Pit closed, but now embellished with pictures and profiles of miners who worked there in last century up until the pit closed in 1980. This was a really emotive display that allowed you to feel a real connection with some of the individuals who worked in the mines. The opportunity to speak to the guides, real-life miners who spent years of their lives working at the Big Pit. Not only will they speak with honesty and clarity about the tough working conditions they faced, they'll also share the love they had for the job and the fraternal companionship they shared with their workmates and friends. There are events, activities and exhibitions throughout the year, including school holiday activities and Christmas events. There is an original Miners' Canteen in the Pithead Baths which is closed during winter. It is well worth a visit when open, however, as it sells traditional hearty and home-cooked welsh food at very reasonable prices. Enjoy a traditional Lamb Cawl (a warming lamb and root vegetable soup) or Faggots, chips, peas and gravy for £6.30 as well as various other hold and cold meal options. I had a warming homemade tomato soup and roll for £4.45 – perfect on the stormy day we visited! A children's menu is also available at very reasonable prices. Over the winter season the coffee shop is open daily, also serving a range of hot and cold snacks, cakes, hot and cold drinks and treats. From the M4, follow the brown signs from junction 25a (westbound) or junction 26 (eastbound). It is also signposted off the A465 at Brynmawr and Abergavenny. For satnav, enter NP4 9RU. If you are taking the bus, the number 30 runs from Cwmbran Monday-Saturday. Prices and opening hours: Admission is free thanks to the support of the Welsh government. You are invited to leave a contribution for the tour guides, however, who work there on a voluntary basis. 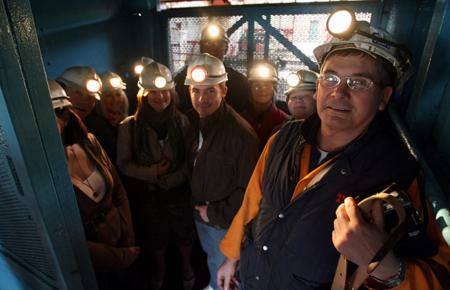 Big Pit is open daily February-October, 9.30am-5pm (last admission 4pm). Underground tours run frequently between 10am-3.30pm. For visits from November to January, call for details before you travel. There are plenty of small purchases available from the gift shop, from your usual stationery to models fashioned from coal and colourful polished stones. Welsh gifts are also available as well as books and jewellery. There are various online resources you can access as an excellent teaching aid from Foundation Stage through to Key Stage 3 and beyond. You can also take part in a Google Arts and Culture virtual reality tour of the Big Pit underground from the comfort of your own home. You can download the Google Expeditions app for free to a tablet and be guided around the pit on your phone (you need to place the phone in a viewer to explore a 360 degree panorama and 3D images). Interactive iBooks are also free to donwload from the resources section of the website, and cover topics such as washing clothes before washing machines, the miners' strike and the life of children during the industrial revolution. Additionally, if you visit BBC School Radio, you can listen to audio clips of children talking about working as trappers in the mines and see excellent video clips, pictures and general information about Victorian children and coal mines on the BBC Primary History site.